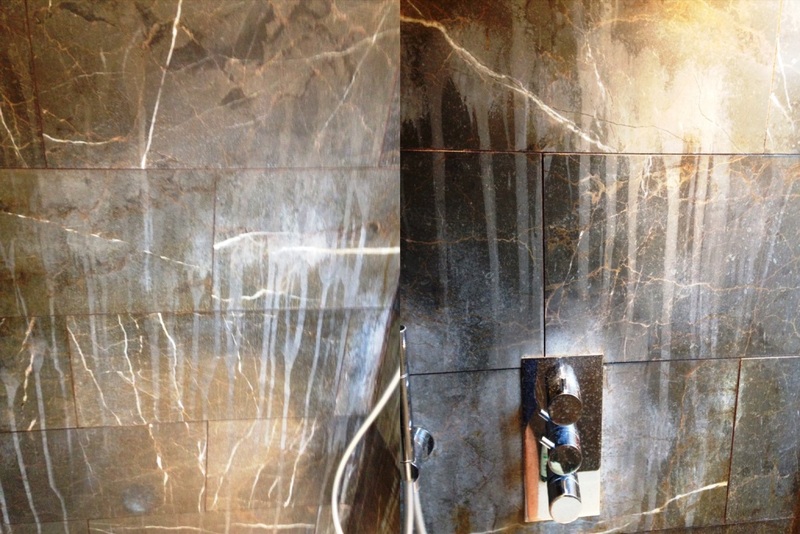 I recently went the assistance of a home owner in Addlestone, Surrey who had damaged the surface of the Marble tiles in her shower by attempting to remove Limescale using a well-known household cleaning product, which unfortunately due to its acidic formula actually made the problem worse and etched the tiles. 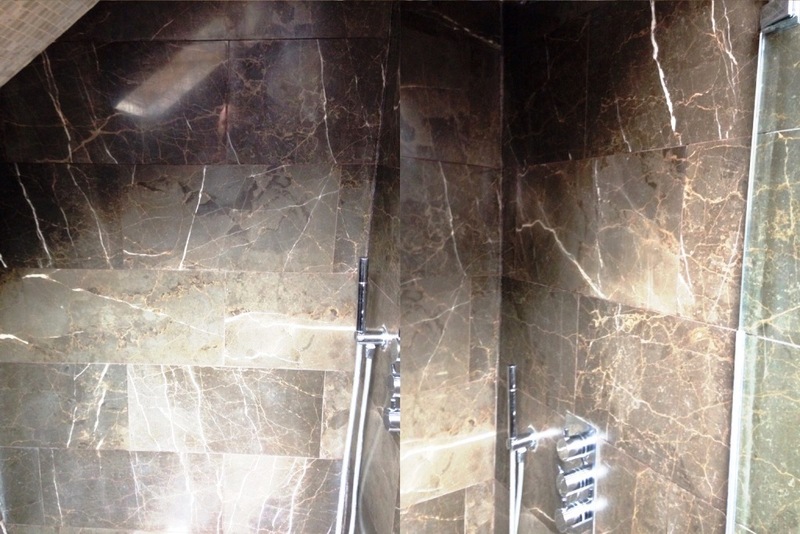 To remove the etching and Limescale from the Marble tiles the surface would need to be cut back and re-polished using diamond encrusted burnishing pads. For this job we used a set of six inch pads which are similar to the floor pads but smaller so they can be attached to a hand held machine and used on vertical surfaces. To burnish the tiles a coarse pad is applied first lubricated with a little water and this removes surface deposits such as Limescale and in this case also the etching. The resultant residue is washed away and then you proceed on with the Medium, Fine and Very Fine polishing pads until the surface has been restored. Once I had finished applying the Very Fine pad I gave the tiles a thorough rinse and then dried them so they could be sealed for which I used a coat of Tile Doctor Colour Grow which is an impregnating sealer that gets into the pores of the stone enhancing the natural colours in the process. The owner was really grateful because she was thinking that they would need to be replaced which as you can imagine would have been very expensive.